At Magnote, we strive to create and curate design-superior unique products tha are fun, attractive, and inspire the kid inside of everyone's heart. 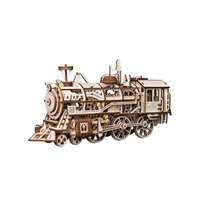 We specialize in offering these gift and toy items that appeal to all ages rejuvenating one's creativity. JIGZLE is 3D paper puzzle built from specially processed sheet of laser cut paper. The pieces easily pop out from the paper sheet and can be assembled without requiring any tools. 18 animal styles are currently available. ROKR is a mechanical gear kit made from laser cut wood. The kit includes wind-up gear unit allowing the locomotive to move forward! 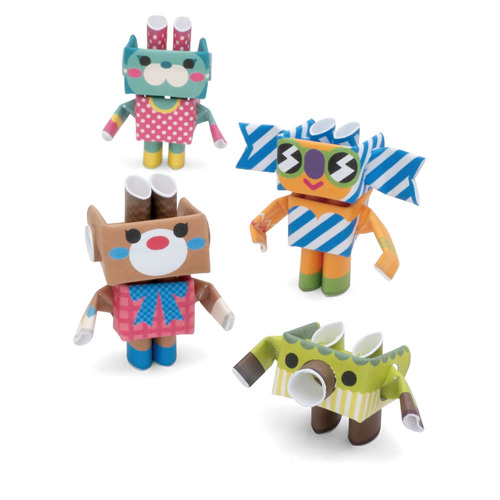 KAMIKARA is action paper craft kits designed by Japanese paper engineer Haruki Nakamura. Each kit is intuitively designed and easy to build without requiring any tools. 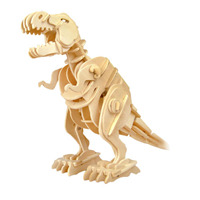 Each kit is intuirively designed and easy to build without requiring any tools. The first release is a penguin that magically appears as you drop it on a table. Enjoy the next generation of paper crafts! Write a personal note on the mini message card and send it along with the wood board in an envelop included in the package. 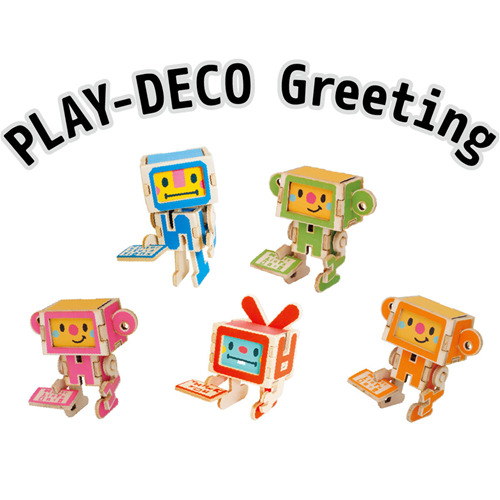 The recipient can simply pop out the wooden letters and in a few minutes assemble them together without glue or tape to build a messenger robot that can even hold your note! The package include 1 die cut wood sheet, 1 card/instruction sheet, and 1 envelop. Happy Birthday, Congratulations, Thank you, New York, and San Fracnsicso are available. 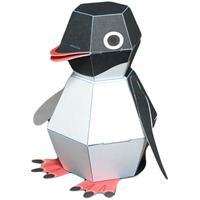 PIPEROID is a paper craft kit designed and produced in Japan. It is made out of just paper pipes with pre-drilled holes and marks to cut, fold, and connect the pipes without the need of glue or tape. All you need is a pair of scissors, and with minimal assembly you can bring your own PIPEROID to life! 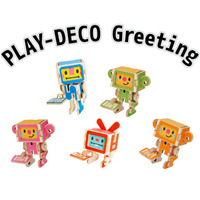 PIPEROID character series has over 25 different styles. PIPEROID animal series has 13 styles. We release a new style every 6 months and retire older ones, which become collectible. DINOROID is a wooden dinosaur craft kit that can be assembled without using any tools! 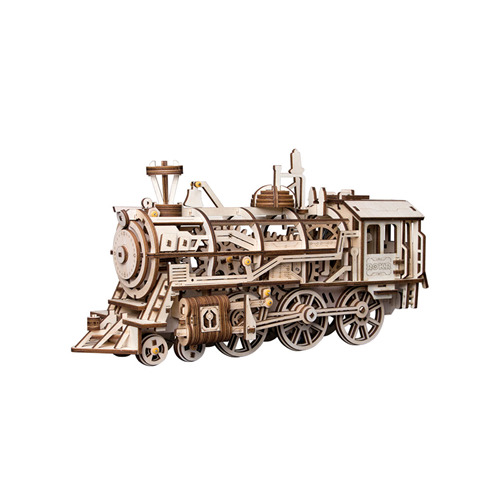 The kit includes wooden sheets with die-cut pieces that simply pop out as well as a motor which allows them to walk after assembly! Additionally, the walking and roaring series comes with a speaker and sound sensor to react to surrounding noise - walking and roaring toward you!